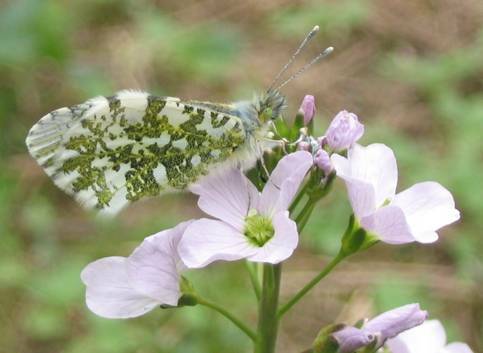 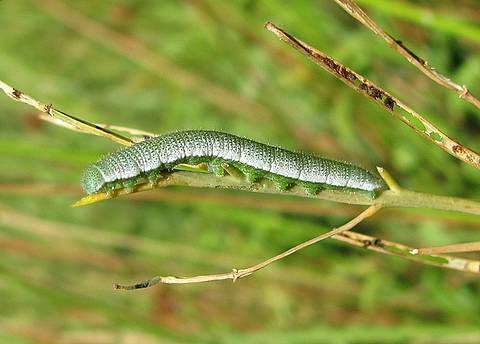 Resting on the larval food plant Cardamine pratensis. 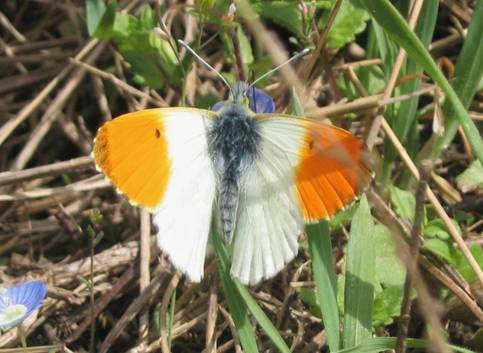 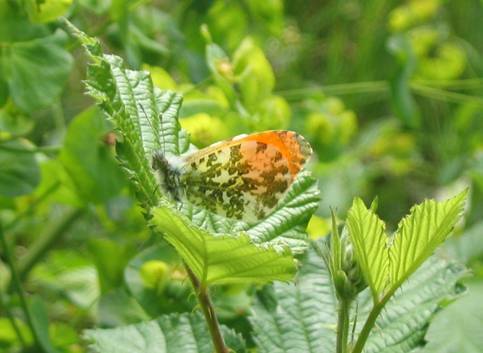 The male Orange Tip is unmistakable as he flies by flashing his vivid orange wing tips and there's always something magical about spotting the first one in springtime. 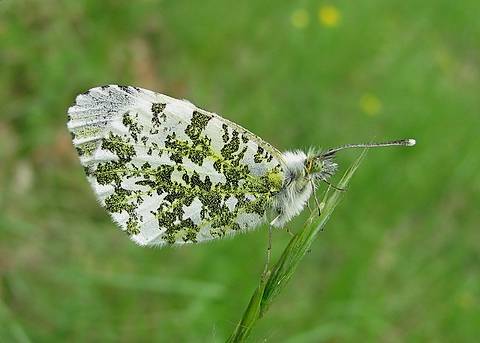 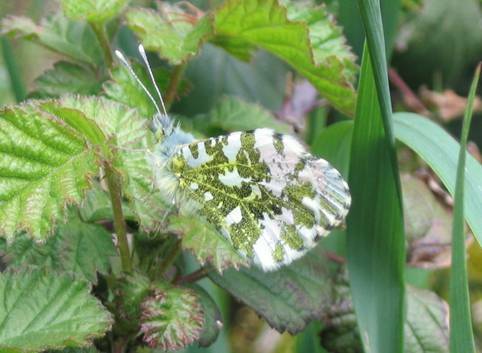 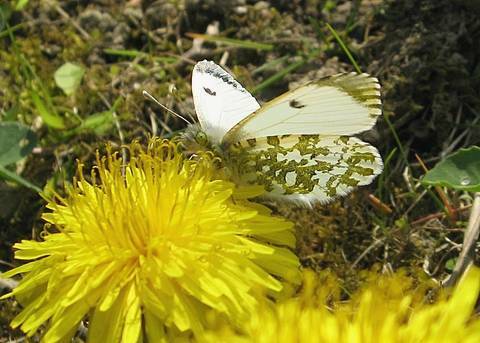 Females are more easily overlooked, resembling other white species although the mottling on the underside of the hindwings is diagnostic. 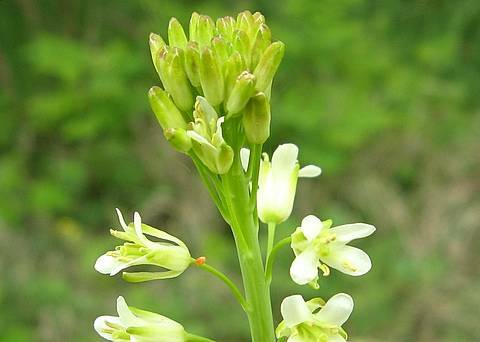 Even so care must be taken not to confuse with E.crameri. 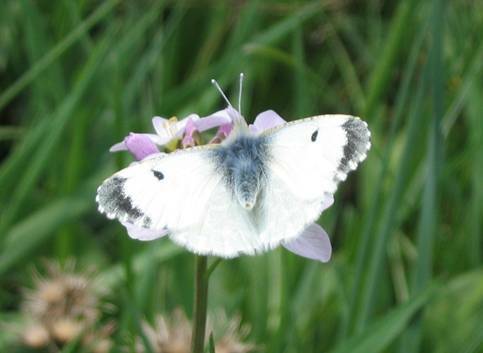 Honesty is a good nectar plant in gardens, with cuckooflower and garlic mustard popular wild flowers. 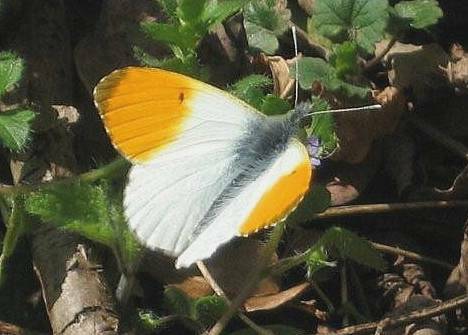 This species was still on the wing in mid-July at altitude in the Spanish Pyrenees in 2004.